The following article, written by our CEO, Dr Colin Chartres summarises some of our key points to the inquiry which have been previously highlighted by an opinion piece that appeared in both The Australian newspaper and in Fairfax Regional papers. Our fundamental premise in supporting agricultural research, development and extension (RD&E) is that World Bank and other studies have demonstrated conclusively that improving agricultural production in lower developed countries is the best way to raise gross domestic product (World Bank, 2007), thus helping poor farmers and the economy in general. Although the Crawford Fund is relatively small, we offer a particularly attractive value proposition in terms of the way we operate that draws on experience and enthusiasm. We have an extensive, nationwide network of highly experienced agricultural, fisheries, forestry and natural resource management scientists, economists, managers and policy makers to draw on to support aid related activities. Some of these individuals are members of our state and territory committees and others contribute as mentors and trainers. All give their time free-of-charge, or for small honoraria and contributions to travel expenses. Many of these individuals have worked on ACIAR projects earlier in their careers and collectively they have a wealth of know-how with respect to international agricultural development. Complementing this group of senior experts are the 660 student and early-career individuals who are members of our RAID Program (Researchers in Agriculture for International Development). Some of these individuals have volunteered to work in agricultural development overseas under the DFAT funded Australian Volunteer Program and some of these have gone on to careers in universities, government agencies and the private sector, with an enhanced understanding of development issues. In many developing countries a critical issue is the lack of gender equity and empowerment of women in access to land and water resources and in decision making on farms. Both women and men play a central role in the farming, food and health, and natural resource management systems of low and medium income countries. But women’s contribution is often undervalued or unrecognised and in some developing countries they are increasingly responsible for agricultural production when their partners leave the farm to seek employment in the cities —and they are often disproportionately affected by poverty. Consequently, we have to promote greater access for women to training programs, as well as trying to ensure gender issues are included in determining pathways to successful implementation of change and innovation. Similarly, governance and institutional support systems in many countries do not promote either greater gender equity, or the enhancement and uptake of innovation, cooperation and market access. We see a major need to improve understanding of the positive outcomes of better policy, regulation and institutional support structures by training early to mid-career researchers and managers as well as senior policy makers. Both in Australia and overseas, another major gap is the inadequate way agriculture is promoted to the young as a career choice. We have to do better in this regard and attract some of the brightest into careers along the entire food value chain. Whilst our RAID Program caters for early to mid-career scientists, there is much more to be done to attract high schoolers and undergraduates into careers in agriculture. These young scientists are the next generation who will contribute Australian agricultural know-how overseas. We are also actively encouraging and supporting senior researchers to mentor overseas younger counterparts and Australian volunteers across the spectrum of agriculture, forestry and fisheries. Given the above set of key issues, we argue that future aid support in agricultural development should give greater emphasis to multi-disciplinary work that integrates gender, governance, mentoring and youth and involves more interaction with the private sector. Similarly, where food and nutrition security are important, approaches should involve agricultural and health sectors. We also presented to the inquiry a number of examples of low cost, small scale, targeted training and mentoring activities and focused projects that demonstrated excellent outcomes and impacts that benefit aid recipients and Australia. These complement and add value to the larger programs of ACIAR, who we argued, plays a critical role in ensuring our production systems benefit from international scientific innovation and who have demonstrated that Australian expertise has significantly aided food security and thus greater prosperity, biosecurity and security in many developing countries. Dr Colin Chartres has had a long and successful career in the private sector, academia and government roles. Before joining the Fund in 2014 he was Director General of the International Water Management Institute (IWMI), a CGIAR Research Centre, headquartered in Colombo, Sri Lanka from 2007-2012. Previously, he was Chief Science Adviser to the National Water Commission, and held senior management roles in the Bureau of Rural Sciences and Geoscience Australia. He worked with CSIRO Division of Soils from 1984- 1997 where he focused inter alia on soil acidity, soil structure and salinity issues and their impacts on agriculture and from 2002-2004 in the Land and Water Division, where he was involved in business development and international science linkages. Colin has a strong interest in the key nexus between science and policy, and through his work with IWMI, specialist interest in water scarcity and its impact on global food security and on science leadership and management best practice. 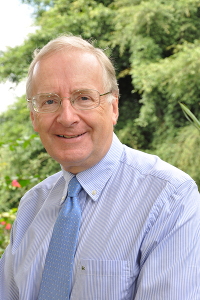 Colin currently Chairs the Expert Review Panel for the Australian Water Partnership, is an Honorary Professor in the Crawford School of Public Policy at ANU and is a member of the International Steering Committee of the Water for Food – Daugherty Global Institute at the University of Nebraska. World Bank 2007. 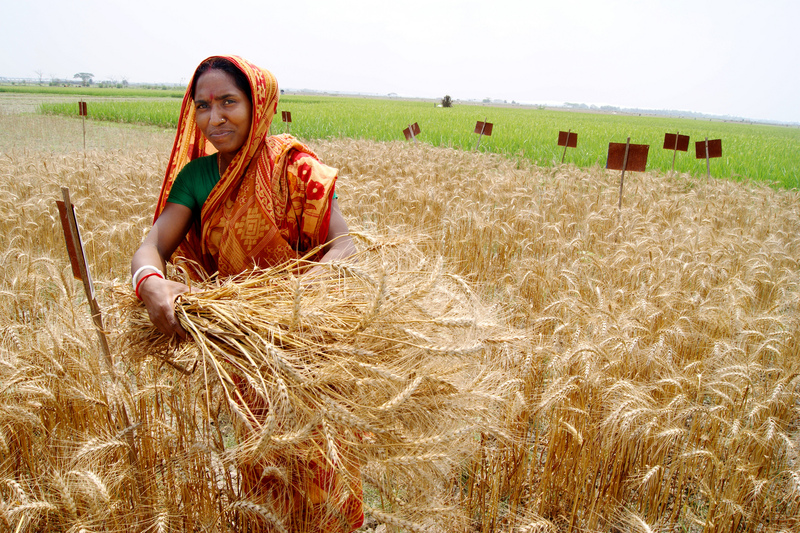 World Development Report 2008 – Agriculture for Development. The International Bank for Reconstruction and Development. The World Bank, 1818 H Street NW, Washington DC 20433.